Cell and gene therapy is at the heart of the UK government’s long term strategy for life sciences, and as we face significant health challenges, it is more important than ever to accelerate efforts in translational medicine. MedCity, the NIHR, and the Cell and Gene Therapy Catapult hosted an event to promote Cell and Gene therapy innovations. MedCity is a collaboration between the Mayor of London, Imperial College Academic Health Science Centre, King’s Health Partners, UCL Partners, Cambridge Health Partners and Oxford Academic Health Science Centre with the goal of promoting life sciences investment, entrepreneurship and industry collaborations within the cluster of England’s greater south east region. The team from the NIHR Imperial Biomedical Research Centre (BRC) joined 7 other BRCs from the Golden Triangle of London, Cambridge and Oxford to showcase world-class scientific research and expertise in cell and gene therapy. This event provided an ideal opportunity to highlight the pivotal role BRCs have played in creating an innovative translational environment by highlighting the academic pipeline that feeds clinical delivery and commercial activity. The event started with presentations reflecting on the MedCity Catalyst and opportunities to undertake clinical trials within the Golden Triangle, an overview of the NIHR Biomedical Research Centres, and the role of Cell and Gene Therapy Catapult in accelerating the commercialisation of research. A panel discussion also explored the potential challenges and opportunities when transitioning from the development of cell and gene therapies to commercialisation. 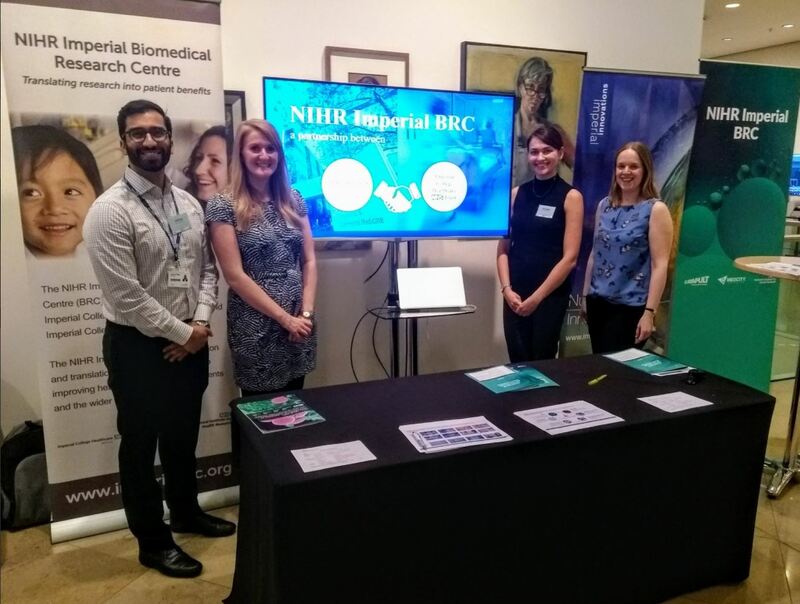 The NIHR Imperial BRC stand also promoted the capabilities for supporting commercially sponsored clinical trials within the Imperial College Healthcare NHS Trust, and colleagues from Imperial College Corporate Partnerships and Imperial Innovations facilitated discussions between industry representatives and our academics. The NIHR Imperial BRC is a translational experimental medicine research partnership between Imperial College London and Imperial College Healthcare NHS Trust. The BRC provides infrastructure and project funding to develop innovative and ‘first-in-human’ approaches to diagnostics, treatments and patient care.